Confirmation that the signals picked up belong to Malaysia Airlines Flight 370’s black boxes could take days, but the discovery offers the ‘most promising lead’ yet. PERTH, Australia – A concentrated air and sea search was underway in the Indian Ocean on Tuesday after an Australian ship detected faint pings deep underwater in what an official called the “most promising lead” yet in the search for Flight 370. Up to 14 planes and as many ships were focusing on a single search area covering 77, 580 square kilometers (29,954 square miles) of ocean, 2,270 kilometers (1,400 miles) northwest of the Australian west coast city of Perth, said the Joint Agency Coordination Center, which is overseeing the operation. Chinese, Australian and British ships were taking advantage of forecast good weather to continue the underwater hunt with sensitive acoustic equipment for the plane’s black boxes in the northern end of the of the search zone, the center said. 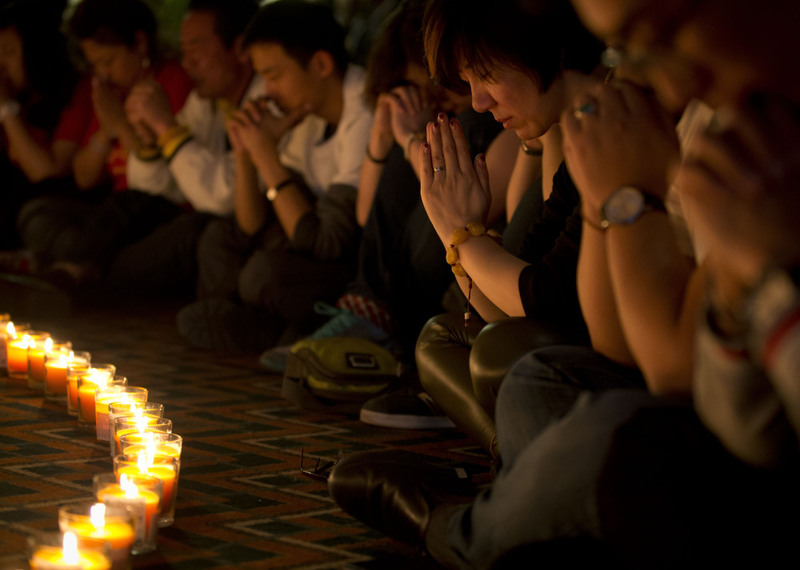 The Boeing 777 vanished March 8 while flying from Kuala Lumpur, Malaysia, to Beijing with 239 people on board. The focus of the search changed repeatedly. It began in the South China Sea, then shifted toward the Strait of Malacca to the west, and then to several locations in the southern Indian Ocean as an analysis of satellite and radar data indicated the plane veered far off course for a still-unknown reason. “We are cautiously hopeful that there will be a positive development in the next few days, if not hours,” Malaysian Defense Minister Hishammuddin Hussein said in the capital of Kuala Lumpur. The Ocean Shield, an Australian ship towing sophisticated U.S. Navy listening equipment, detected two distinct, long-lasting sounds underwater that are consistent with the pings from an aircraft’s “black boxes” — the flight data and cockpit voice recorders, Houston said. Navy specialists were urgently trying to pick up the signal detected Sunday by the Ocean Shield so they can triangulate its position and go to the next step of sending an unmanned miniature submarine into the depths to look for any plane wreckage. Geoff Dell, discipline leader of accident investigation at Central Queensland University in Australia, said it would be “coincidental in the extreme” for the sounds to have come from anything other than an aircraft’s flight recorder. Houston said the signals picked up by the Ocean Shield were stronger and lasted longer than faint signals a Chinese ship reported hearing about 555 kilometers (345 miles) south in the remote search zone off Australia’s west coast. 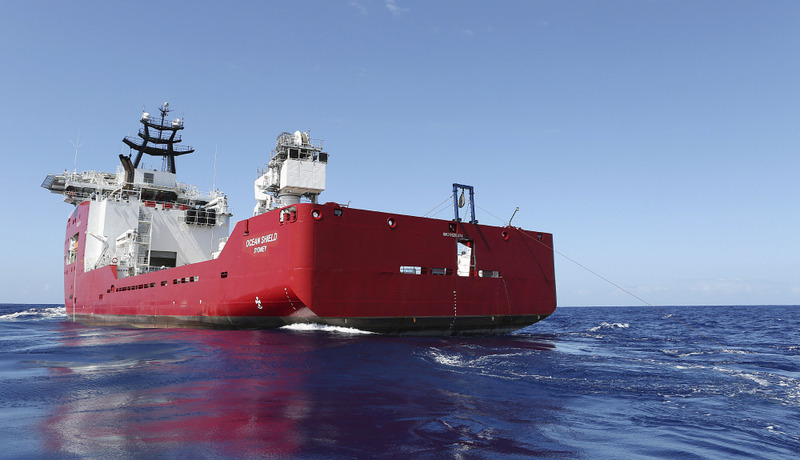 The British ship HMS Echo was using sophisticated sound-locating equipment to determine whether two separate sounds heard by the Chinese patrol vessel Haixun 01 were related to Flight 370. The Haixun detected a brief “pulse signal” on Friday and a second signal Saturday. The Chinese reportedly were using a sonar device called a hydrophone dangled over the side of a small boat — something experts said was technically possible but extremely unlikely. The equipment aboard the British and Australian ships is dragged slowly behind each vessel over long distances and is considered far more sophisticated. Little time is left to locate the flight recorders, whose locator beacons have a battery life of about a month. 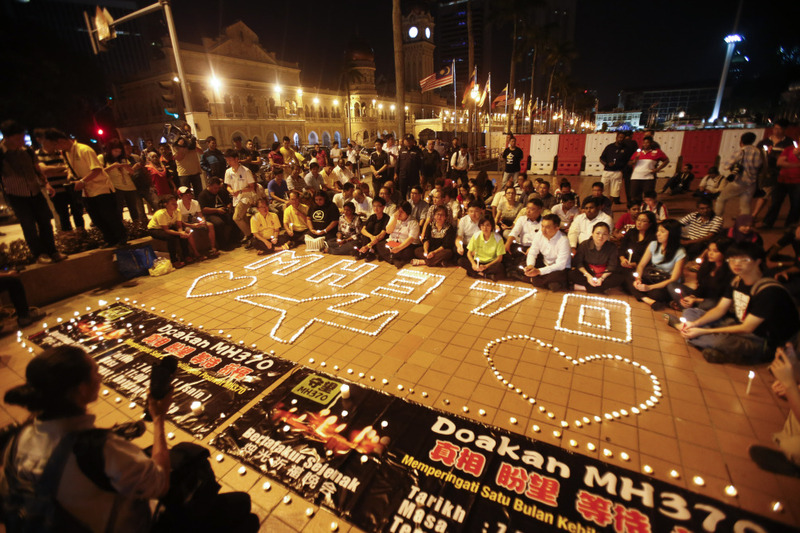 Tuesday marks exactly one month since the Malaysia Airlines plane disappeared. The Ocean Shield picked up its signals late Saturday night and early Sunday morning. The first lasted two hours and 20 minutes before it was lost. The ship then turned around and picked up a signal again — this time recording two distinct “pinger returns” that lasted 13 minutes, Houston said. The frequency used by aircraft flight recorders was chosen because no other devices use it, and because nothing in the natural world mimics it, said William Waldock, a search-and-rescue expert who teaches accident investigation at Embry-Riddle Aeronautical University in Prescott, Ariz.
“They picked that so there wouldn’t be false alarms from other things in the ocean,” he said. But these signals are being detected by computer sweeps, and “not so much a guy with headphones on listening to pings,” said U.S. Navy spokesman Chris Johnson. So until the signals are fully analyzed, it’s too early to say what they are, he said. The Ocean Shield is dragging a ping locator at a depth of 3 kilometers (1.9 miles). It is designed to detect signals at a range of 1.8 kilometers (1.12 miles), meaning it would need to be almost on top of the recorders to detect them if they were on the ocean floor, which is about 4.5 kilometers (2.8 miles) deep. U.S. Navy Capt. Mark Matthews said the signals picked up by the Ocean Shield were both 33.3 kilohertz, the manufacturer indicated the frequency can drift in older equipment. He said the underwater vehicle, the Bluefin 21 autonomous sub, can create a sonar map of the area to chart any debris on the sea floor. If it maps out a debris field, the crew will replace the sonar system with a camera unit to photograph any wreckage. The water depth there is right at the limits of the sub’s capability.